Hitachi Europe, a subsidiary of Hitachi Ltd., has confirmed the delivery of a finger vein biometric authentication solution for Poland’s Bank BPH. One of Poland’s largest banks, and GE Capital group member, Bank BPH went in search of a more secure PIN-less method of authentication. 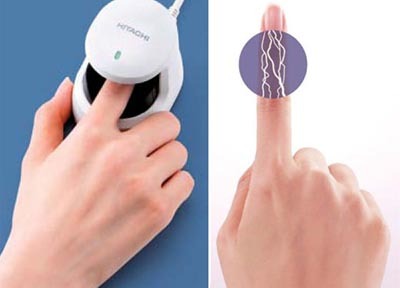 The finger vein biometric— which has been in pilot testing throughout several of the bank’s branches since June of 2012— seems to be a viable solution. 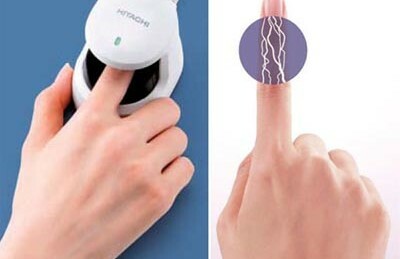 The technology uses an infrared light to capture the unique vein pattern in a person’s finger. The pattern is then stored as a template and used to verify the person’s identity the next time they interact with the device. In addition to being contactless, discreet and non-invasive, the vein biometric is believed to be impossible to counterfeit. Hitachi is looking to take the biometric technology global, and has already seen Bankasi A.S.— Turkey’s largest commercial bank— employ the technology in its own ATM security. Poland’s BPH plans to initially implement the system into 22 branches through the end of September but expects to fully integrate all 287 Polish branches— using the biometric as the main method of authentication at teller counters— by the end of 2012. The biometric integration will see a total of 1,800 finger vein devices installed throughout the Bank BPH network.